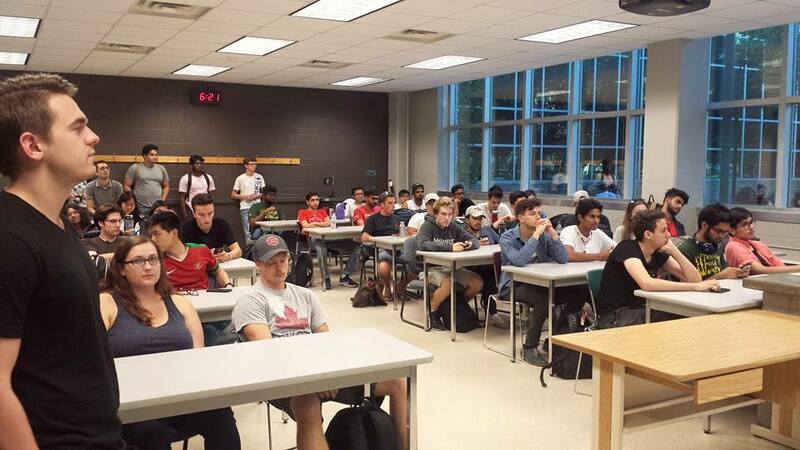 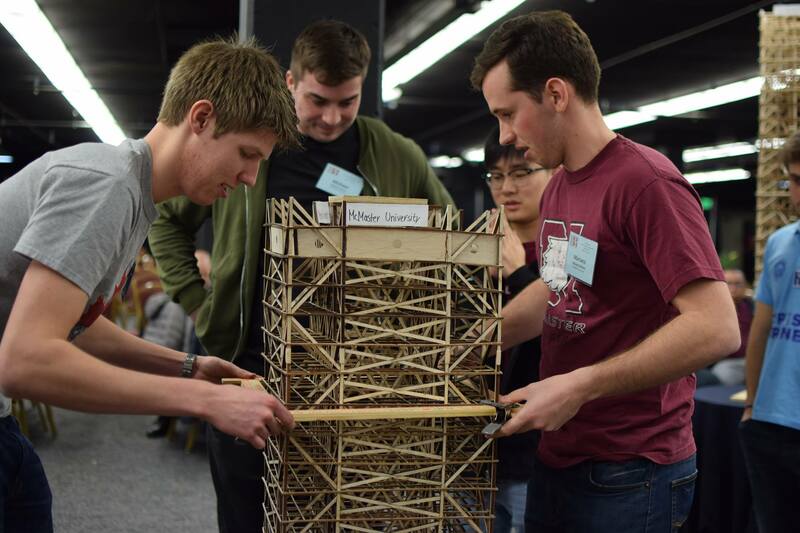 The McMaster EERI Seismic Design Team is an undergraduate team focused on earthquake engineering. 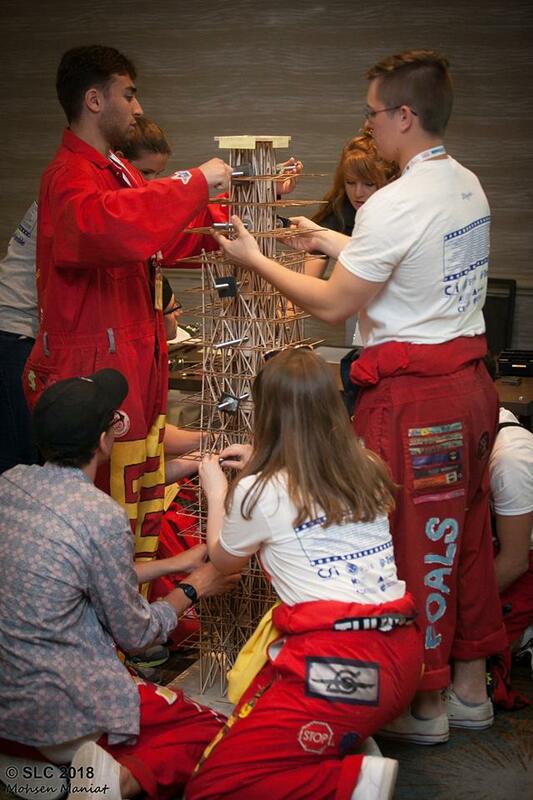 Competing against over forty teams from around the world, the team is tasked with creating a large frame skyscraper prototype out of balsa wood to be tested against simulated earthquakes on a shake table. 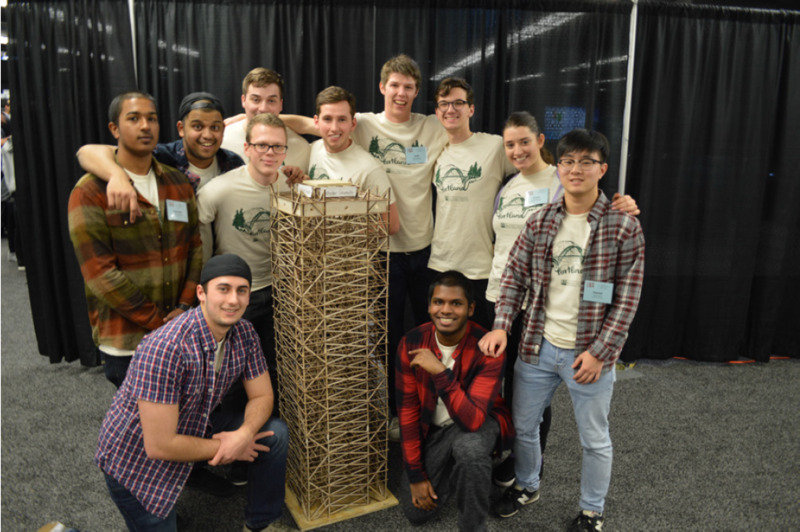 Students focus on structural and dynamic modelling using specialized software, manufacturing individual pieces for the building using laser-cutting technology, in addition to constructing an actual prototype. 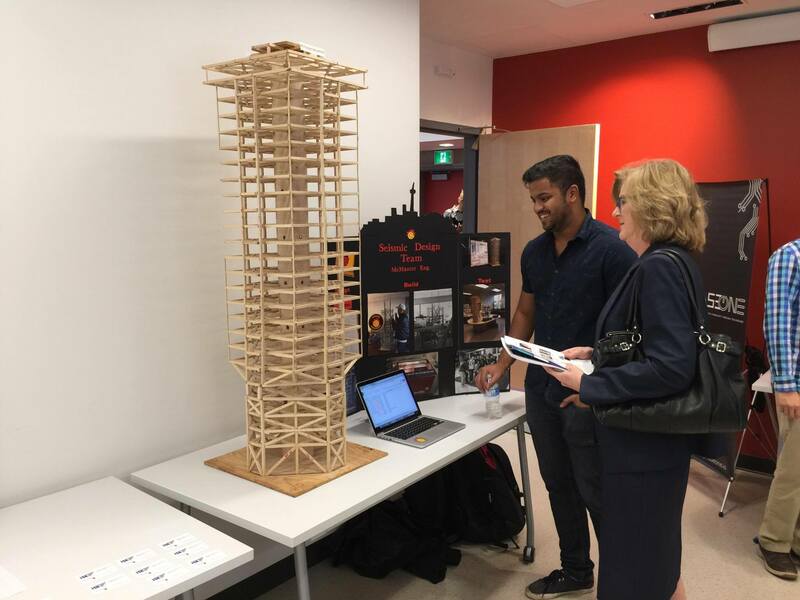 The team also creates an architectural rendering of the structure that would seamlessly fit into the skyline of the host city. 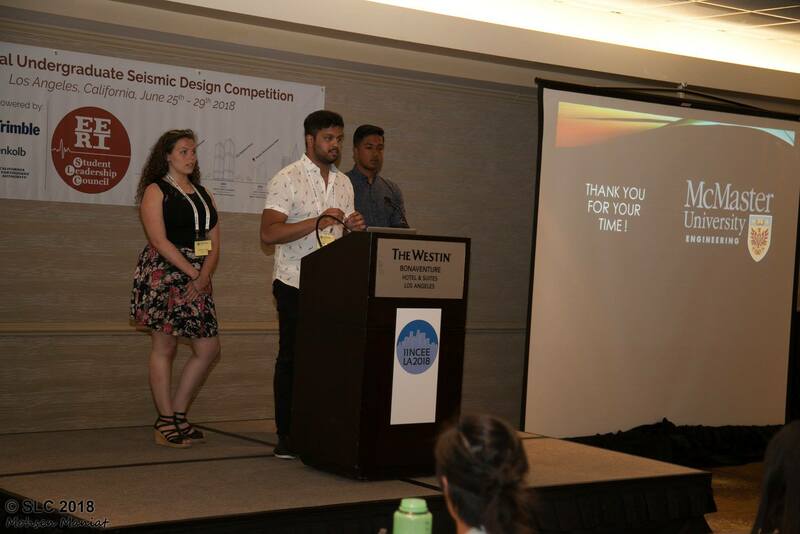 This interdisciplinary team provides students with firsthand experience working to apply economic sustainability, structural efficiencies, geotechnical applications, material properties and architectural concepts to the design. 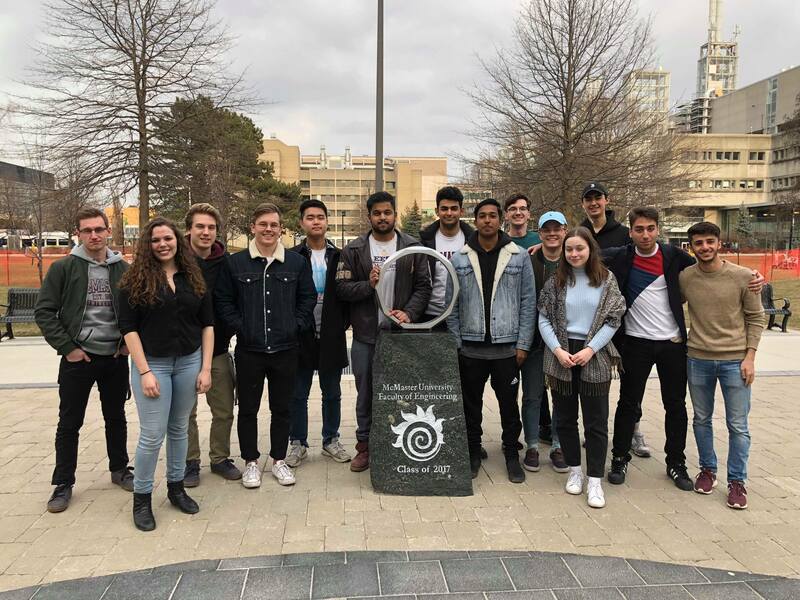 Having competed in Los Angeles, California and Portland, Oregon in 2017 and 2018, the team is working towards competing in Vancouver, British Columbia in March 2019!